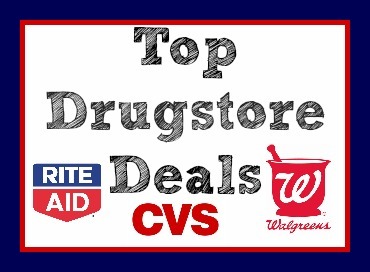 Here are all of the top drug store deals available 8/11-8/17. This is a great week to shop drug stores! There are some great deals at every store. Please share any additional deals you’re excited about in the comments below. You can see all of the current CVS deals here. Get Back: $10 ECB — like getting it all for $13.96 or $1.74 ea. Get Back: $10 ECB — like getting it all for $14.96 or $3.74 ea. You can see all of the current Rite Aid deals here. You can see all of the current Walgreens deals here. 2,000 BR WYB (2) Nivea Skin Care or Body Wash, B1G1 50% off at $4.99 ea.